In the advanced world that we live in, people are quickly trying to find new ways to make expensive commodities inexpensive and available to those who otherwise could not afford them. This is exactly why you would be making a wise decision if you choose a limo rental service for travelling rather than going through a cab or by foot. A limo service can be quite handy when you have to go to the airport or attend an urgent meeting. You will get efficient and reliable services. It is not just about airports or business meetings, you can also book limo services if you are going to a formal party, birthday party, bachelor/bachelorette party, or a simple girls night out, limo services at your disposal. Surely you much like everyone else dreams of travelling in not only style but also luxury. This is where limousines come in. You will not only get luxury but also comfort and safety. One of the many services that limo rental services provide are chauffeurs that drive the limo safely and securely so you don’t have to worry about a thing. 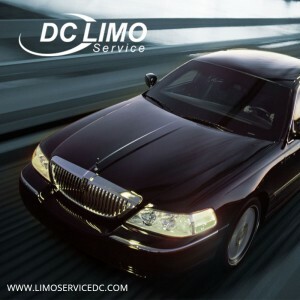 With Cheap Limo DC you can get corporate transport. It is no secret that in cities like DC, the cab fares are increasing everyday and not to mention unsafe travel conditions. Most cab drivers though licensed are not equipped to deal with such situations while simultaneously maintaining the comfort of the passenger which is something Cheap Limo DC’s chauffeurs have been trained to handle. One of the many problems that people face when they are travelling for business is the difficulty in finding a cab. If you are new to the city and don’t know the ropes, forget about finding a decent cab anywhere. Since most cab drivers are working independently, there is no higher authority behind them to make sure that their service is good or to make sure that their cab is clean. Who likes to sit in a dirty cab that smells like socks and a week old rotten pizza? Not you, for sure. When you hire Cheap Limo DC for their limos for corporate transportation, your reputation and your company’s image remains intact in the eyes of your clients. Suppose you have a corporate event for which you have hired a transportation service to pick your guests up from their destinations, your employees will be disappointed in the services that they get with the service. But with Cheap Limo DC, we leave nothing to chance and make sure that our clients get the best of the services that we have to provide. If your clients and employees arrive in the luxury limos that you rent from us, it will leave a lasting impression on them, one that they will not forget for years to come. We have made it simple for our clients to call us and book limos for their corporate events. You can simply call us at our helpline despite where you are and ask our customer representative the details of the limos you can book. As we mentioned earlier, you can easily call our helpline and not only book your limo but also inquire about things like the services we provide or about how we train our chauffeurs. Our chauffeurs have their backgrounds screened and are highly accommodating. We make sure that they arrive to pick you up on time so you aren’t late for your event. We have a variety of fleet that you can choose from as it all depends on the people that you are transporting in one limo. Whether it is 10 people or 100, we will accommodate you with as many limos as necessary as long as you make sure that you call us in advance for your booking and tell us the number of people you want to transport. And what’s more is that we provide all these services at an economical rate so its within reach for everyone. We know how dirty public transport can be so we understand the struggle people have to endure in order to find a transport service that provides clean yet luxurious services. With Cheap Limo DC, you can have it all. We make sure that our limos are clean and that you have the perfect time while we transport you to your destination. If you are on a budget and can’t afford to spend a lot on transport while you are travelling for business then know that our services are affordable. With us you will no longer have to worry about petty issues like additional expenses and hidden charges. At any point if you feel uncomfortable about the cost incurring, you can call our helpline and ensure that the money you have to spend is well within your budget. Often it happens that while going on a business lunch or a meeting, you run slightly late and can not afford to lose any more time finding parking during rush hours. Our chauffeurs will take care of that for you as you will no longer have to park the vehicle or worry about parking tickets. Did it ever happen to you that you forgot your laptop bag at home while running late for a presentation that just happens to be stored on your laptop? It happens to the best of us. If ever it happens that during your travel with our chauffeurs in our limos you forget something important at home, our chauffeurs will find the best possible route back home for you while maintaining your safety and get you to your meeting in time. So what are you waiting for? Call our helpline as soon as possible whether it is for an airport pick up or for your clients for a corporate event, you name it and we have solutions for all your transportation needs. But remember to book your limo I’m advance!